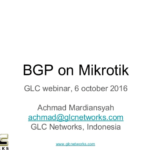 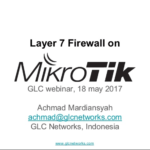 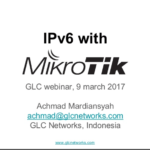 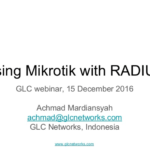 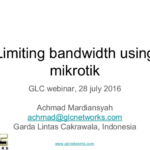 In this webinar, we are talking about limiting bandwidth of specific destination based on address list on mikrotik router. 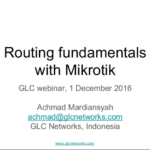 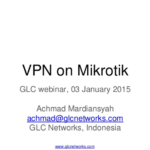 we also talking about the latest feature of mikrotik that is dynamic address-list. 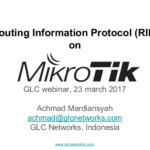 at the end of the session, there was a demo that shows how to configure the mikrotik router. 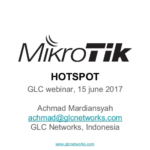 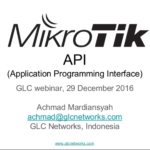 We start the presentation from the introduction of mikrotik and GLC, and we also do demo and QA and the end of presentation.